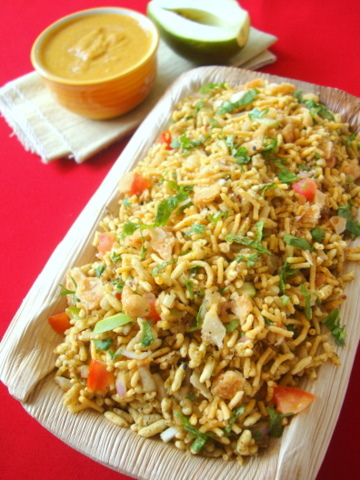 Another favorite chaat of mine, Bhel Puri, is light on the stomach and super quick to bring together. 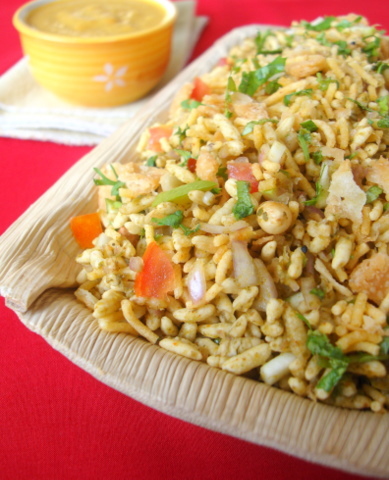 A popular street food, Bhel puri, is prepared with puffed rice, an assortment of chutneys, peanuts and crushed papdi and sev. 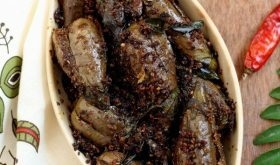 Garlic chutney is an optional ingredient and I personally prefer without garlic chutney. In a wide bowl, add a tbsp each of green chutney and sweet chutney and a dash of garlic chutney (optional). Add 1 finely chopped onion, 1 finely chopped tomato, 1 chopped boiled potato, 1 1/2 tbsps chopped raw mango, 1/2 tbsp of chopped fresh coriander leaves, 1/2 tbsp lemon juice, salt to taste, 2 tbsps roasted peanuts and pinch of chilli pwd. Mix all the above ingredients well. Add 4-5 cups of puffed rice (murri/marmaralu/murmura/kurmura) and combine well. 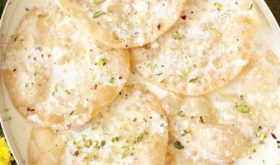 Garnish with crushed sev and papdi. Serve immediately. Sounds nice and easy and tasty! Excellent! AS always chaala bagundi. Suchitra garu, maa Vizag lo muri mixture antaru adi bhel puri chala diff ga vuntayi. Oh HOW I LONG for yummmmmmy street food! 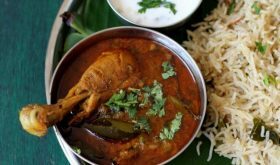 That’s the one thing I miss about Mumbai! 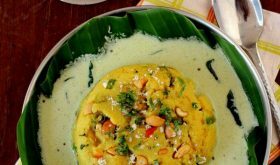 Here’s Vizag Beach Muri Mixture recipe, Puja. should we add puffed rice directly..?or should we put 2-5secs in water..?? Pooja garu, there is no need to add puffed rice in water. There is enough moisture in the green and sweet chutney that will soften the puffed rice. 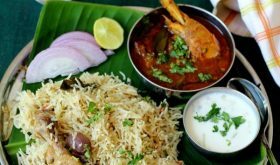 i felt really very guilty to ask this, thinking frm yesterday whether to ask or not..
and the main thing, here(shanghai) we get all ingredients for this..
Anni na favorite recipes publish chesinaduku thanks.When I follow your recipes I do follow exactly your measurements. So the dish turns out very good and tasty. Again thanks.